A facial cleansing brush can give you a better clean, with less work. All you need to do is apply a small amount of cleanser to your skin, turn on the brush, gently move it around your face for about one minute, and let it do all the work. It can stimulate and deep clean the skin, which allows your cleansers, moisturizers, and anti-aging products to work more quickly and efficiently. A facial cleansing brush is a rotating brush that can gently cleanse and exfoliate your skin in less time. It can take your daily cleansing routine to the next level. It can deep clean pores, remove makeup, and leave you with clean, smooth skin. It is important to replace the brush heads every three months for the best results. The Olay Pro-X Advanced Cleansing System is ideal for all skin types. The system includes a two-speed rotating facial cleansing brush and an anti-aging exfoliating renewal cleanser. The system offers daily deep cleansing, gentle exfoliation, and can even remove stubborn makeup. The dermatologist-formulated and tested system promises to deliver noticeable results. The effective system is easy to use and gently moves around the face, so it is ideal for daily cleansing. The compact brush is water-resistant, so you can use it in the shower. The lathering cleanser can improve skin texture and smooth the skin. Once you use up the cleanser, you can continue using the brush with your regular daily face wash. This runs on two AA batteries, which are included. It is backed by a 60-day money-back guarantee. 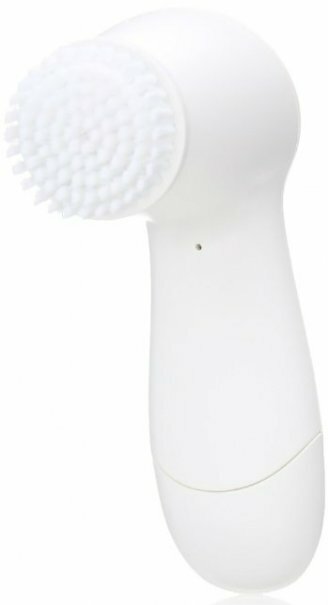 Good Housekeeping and Refinery 29 selected it as the best facial brush, and it has outstanding online reviews, including more than 2,800 five-star reviews on Amazon. In fact, many reviewers claim that it works just as well as the Clarisonic brush, at a fraction of the cost. The Proactiv+ Deep Cleansing Brush is ideal for all skin types, regardless of whether or not you use the Proactiv system. The cordless rotating brush features continuous 360-degree rotation, two speeds, and long, soft, tapered bristles. It can remove dirt, oil, and makeup, exfoliate away dead skin cells, deep clean your pores, and leave your skin softer, smoother, and more radiant. The effective exfoliating tool is easy to use and will stop rotating if you press it onto the skin too hard. It is designed for acne-prone skin and can improve the condition of your acne with continued use. It is water-resistant and can be used in the shower. It is ideal for all skin types and can be used every day. It is powered by two batteries, which are included with the brush. It has outstanding reviews online and is recommended by a number of publications, including NY Mag. The Clarisonic Mia 1 Skin Cleansing System can cleanse the skin six times better than hands alone. The one-speed brush will leave skin softer, smoother, and more radiant with continued use. It can fight acne, reduce pore size, and deep clean the skin without irritating it. The patented sonic technology allows the brush to oscillate back and forth at more than 300 movements per second. The ultra-compact brush is waterproof, so you can enjoy gentle, yet thorough, cleansing in the shower. It includes a sensitive brush head and a refreshing gel cleanser, comes in a variety of colors, and is backed by a one-year warranty. It is ideal for all skin types and can be used twice daily. Once you use up the gel cleanser, you can continue using the brush with your regular daily cleanser. The included travel-friendly charger powers it, and each charge should last 20 days. It is one of Amazon’s best sellers and has outstanding online reviews, including nearly 500 five-star reviews on Birchbox. You can choose from a number of interchangeable brush heads, including normal, sensitive, acne prone, deep pore, and more so that you can customize the product to meet your skin care needs. 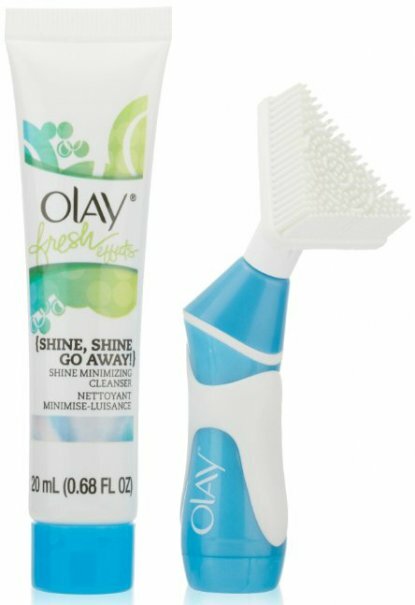 The Olay Fresh Effects Va-Va-Vivid! Powered Contour Cleansing System includes a contour brush and shine minimizing cleanser. This promises to power through dirt, oil, and makeup, providing a 400% better clean. The small brush features a unique triangular design for deep cleansing in and around the facial contours, the T-zone, nose, hairline, and hard-to-reach places. The flexible rubber bristles are very soft and will gently, and effectively cleanse your skin. This results in less acne, smaller pores, and softer, clearer, shine-free skin. The ultra-compact brush is waterproof, so it can be used in the shower. It is effective, easy to use, and ideal for all skin types, particularly oily skin. The cleanser is effective and smells great. Once you use up the cleanser, you can continue using the brush with your regular daily cleanser. It is powered off one AAA battery, which is included in the system. This is the most affordable option on our list and includes the brush, cleanser, and battery, so you won’t find a better deal. It is also backed by a satisfaction guarantee, so you are bound to be satisfied. 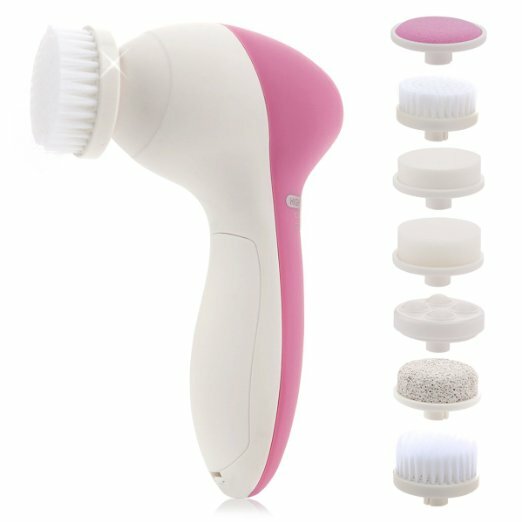 It was also selected as the best facial cleansing brush by Consumer Search and Real Simple, and recommended by NY Mag. It is commonly compared to the popular DDF cleansing brush and offers results far superior to anything in its price range. There are a variety of affordable cleansing brushes on Amazon that are backed by outstanding reviews, namely Amazon’s bestselling facial cleansing brush, the Pixnor Facial Brush 7-in-1 Facial Massager Face Brush. The compact, lightweight facial brush includes seven different rotating heads to meet all your cleansing and exfoliating needs. The advanced cleansing system is extremely effective and easy to use. It features two speeds to gently, thoroughly cleanse the skin. It can remove dirt, oil, and makeup, fight acne, increase circulation, exfoliate dead skin cells, and reduce the size of your pores. It is powered by two AA batteries (not included) and is available in two colors. This is one of the “Most Wished For” items on Amazon and has nearly 1,100 five-star reviews on Amazon. This brush set is a steal, especially when you consider that many reviewers compare it to brushes that are nearly 10 times the price. 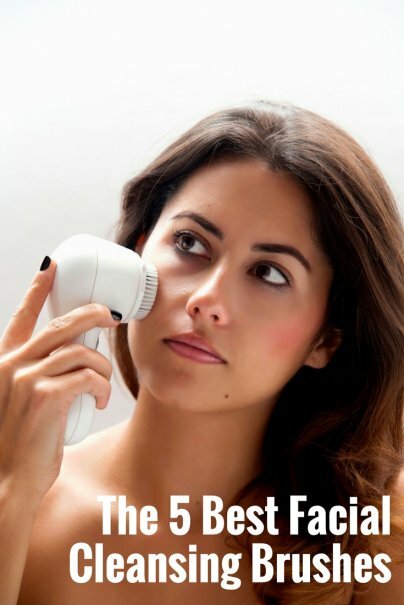 If you’d like something that can work on both the face and body, consider the Skin Cleansing FACE and BODY BRUSH Microdermabrasion Exfoliator System by ESS. And those are our recommendations for the best facial cleansing brushes. As always, be sure to check Wise Bread's Buying Calendar to learn when and how to buy just about anything!